plan participant education has replaced tax compliance as the biggest issue facing plan sponsors indicating that expectations for support with plan participant education have increased. Other key issues identified by study participants include accounting & financial reporting, adopting new ASC 718 standards, and managing award metrics. These topics cover quite a spectrum. Let’s unpack them, in order of the accounting and financial reporting issues that weigh most on peoples’ minds. FASB this year finalized a significant set of revisions to ASC 718, its first major overhaul since establishing the standard a decade ago. Among other things, ASU 2016-09 eliminates the APIC pool, removes excess benefits from the ASC 260 diluted EPS calculation, relaxes tax withholding rules, and offers some flexibility on using forfeiture rates. We set up a resource center to help our readers stay abreast of these developments. As of September 2016, over 300 companies had already early-adopted the revised standard. Many of them are companies with large excess tax benefits who are eager to lock in the full year-to-date effect of the new guidance. If yours is one of the companies holding back, you’re in luck. 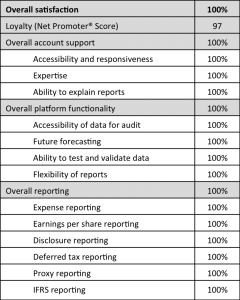 We captured the experiences of those early adopters in a new report that sheds light on how companies are handling each of the major changes in ASU 2016-09. To get at companies’ thought processes on some of the policy decisions, we also conducted and then published a survey. More and more, we see financial executives demanding enhanced forecasting transparency and budget-to-actual precision. Even positive variances are often frowned upon. The revision in ASU 2016-09 that eliminates the APIC pool—and pushes excess tax benefits and shortfalls through the income statement—serves only to increase forecasting uncertainty. Growing complexity in award designs, including the tendency toward using multiple performance metrics, also contributes. Now is a good time to improve and enhance your forecasting and budgeting processes. 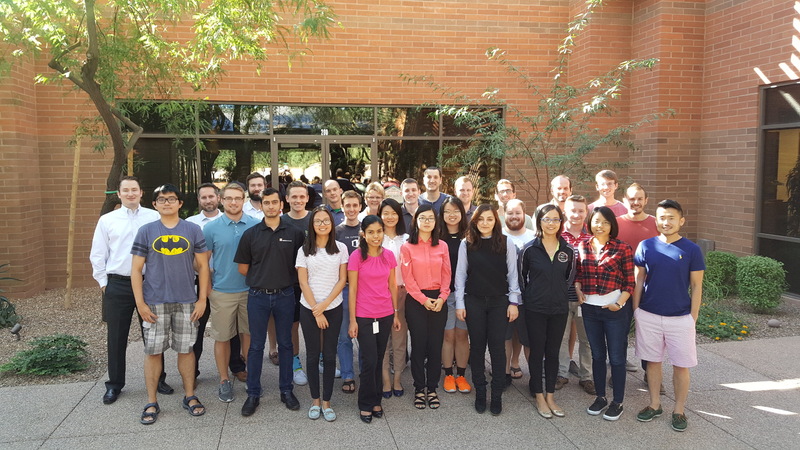 Thanks to ASU 2016-09, one concrete manifestation is designing tax settlement forecasting procedures in order to gain insight into how future excess tax benefits and shortfalls can affect earnings. Another tendency is toward modeling future hypothetical grants in a bottom-up way, taking into account promotion, hiring, and attrition at the business unit level. We discuss some of these trends in our Stock Compensation Accounting Best Practices Survey (and are gearing up to refresh the survey in 2017—so stay tuned). It’s notoriously difficult to maintain and sustain complex reporting processes via spreadsheets. But two developments in stock compensation may lead to automation once and for all. First, ASU 2016-09 will require more connectivity between expense and tax reporting processes (now that tax has a direct income statement flow-through). Disparate and disjointed processes will be less effective under the new ASU. Second, with so many new accounting standards coming down the pike (e.g., revenue recognition), lean accounting teams are struggling to do more with less. Anecdotally, we’re witnessing more fragmentation due to the flurry of standard-setting. This too will nudge companies to invest in further automation. A recent study by Equilar shows the rise in multi-metric long-term incentive plans. Much of this is on the heels of the debate surrounding relative total shareholder return (rTSR) metrics. Proponents argue that rTSR provides the cleanest shareholder alignment, while opponents retort that the line of sight is low. As a result, more companies are moving toward hybrid designs, which combine an rTSR metric with one or more operational/financial metrics. Alone or combined, rTSR is the pick of roughly 50% of companies as they strive to avoid a pay for performance disconnect. TSR awards add dozens, even hundreds, of moving parts to an already-complicated design and grant process. The smallest details can have big implications for administration, financial reporting, and valuation, which is why we developed a checklist of rTSR design attributes drawn from our work with over 200 TSR award-issuing companies. Operational and financial metrics may offer line of sight, but present very real goal-setting challenges. Compensation committees are asking for more and better proof that threshold, target, and stretch goal levels are rigorous enough. To get past these challenges, many companies are turning to a new technique called distribution fitting. Combined with Monte Carlo simulation and other techniques, it’s another arrow in the goal-setting quiver. The best practice? First, start early. Second, invest in building strong collaborative bonds between finance and executive compensation. Designing long-term incentive plans is largely about avoiding unintended consequences through thoughtful pressure-testing upfront. No matter how carefully businesses put together their equity compensation programs, they can still fall short of their goals if recipients don’t grasp the relevance. This is particularly true of performance-based equity awards. In our view, the most effective approach is to begin education before grant to set stakeholder expectations about the cost and value of awards. Communications should continue through the grant date and then for the remainder of the award lifecycle. This should be an institutional program rather than a one-time initiative or series of ad hoc projects. Companies should consider whatever media, platforms, and frequency are required for participants to remain engaged and thoroughly understand their awards. We’re grateful to the many Equity Methods clients who generously gave their time to complete the Group Five survey. And, as always, thank you for your feedback. Read the summary report to learn more about this year’s results.